The hub of culture, commerce and government, our urban downtown with a small town feel is vibrant, walkable and economically vital. We are at the heart of a county that features nationally recognized biotech companies, three colleges, a super educated workforce and great amenities. Downtown Frederick is a real place—not a museum. We value our beautiful architecture and history-lined streets, our neighborhood character and characters, our independent businesses and our year-round events that attract residents and visitors alike. We retain our historic charm while embracing new ideas. The people who live here and work here make us cool, reflecting a diversity of ethnicities, lifestyles, ages and incomes. Already a vital hometown today, Downtown Frederick in the next five years will be a stronger, better, greener, more attractive place to work, shop, dine and build a life. Downtown Frederick Partnership is committed to advocating for the redevelopment of the Post Office site. Redevelopment would include retaining the retail post office either on site or in close proximity and relocating the remaining uses. Click here to view Downtown Frederick Partnership’s full policy statement on the redevelopment of the post office site. On September 20 and 21, 2016, the Partnership together with the City of Frederick’s Planning and Economic Development Departments and East Frederick Rising held two public input sessions and a public presentation related to the Post Office site in Downtown Frederick. The first day sessions provided an opportunitiy for community members to proactively provide input on site opportunities and the community’s vision for the site. The public presentation offered a summary of the ideas generated, along with analysis by the consultant team. The final report from the two-day design process can be downloaded here. Building on the momentum of the past 30+ years of investment, the Downtown Hotel at Carroll Creek is an exciting project that will bring new lodging and meeting space to Downtown Frederick. This new facility, located at the intersection of East Patrick and Carroll Streets, responds to both community desires and business needs. To stay up to date on the progress of the Downtown Hotel at Carroll Creek, visit downtownhotelatcarrollcreek.com. Live Downtown Frederick is an initiative of the 2020 Downtown Frederick Partnership Strategic Plan. Our goal is to welcome 335 new residents to Downtown Frederick by 2020. The first step in what the Partnership anticipates will be a three year process was to learn more about the local housing market today and what impediments and incentives exist. The analysis was completed by a consultant team that included Seth Harry and Associates and Townscape Design. This analysis was presented at a Live Downtown Frederick Housing Symposium that was held Friday, April 28, 2017. The final report from the Symposium can be downloaded here. This 30,000 square foot building offers a unique combination of old and new. The first class features magnificent post and beams, exposed brick and craftsman accents throughout. The historic buildings on site are joined with loft contemporary suites for one of a kind offices. All suites are built to suit. 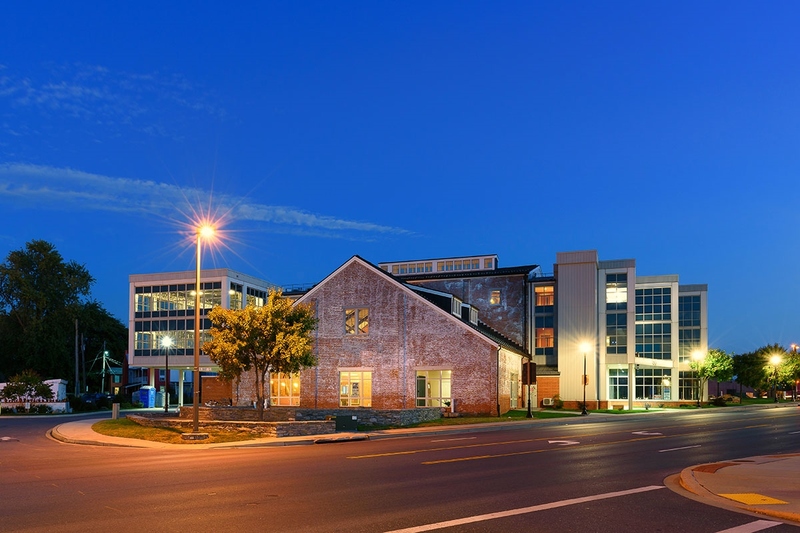 The Cannery is located on East Street, a new access point into Downtown Frederick, and offers limited parking. In April 2013, Downtown Frederick Partnership organized a workshop to seek feedback from the community on ways to improve the Seventh Street Fountain Park. A second community workshop is planned for Thursday, April 25, 2019 from 7:00PM to 8:15PM at the Bernard W Brown Community Center. This workshop is free and open to the public. Register here. Suggested improvements that had broad community support during the 2013 workshop include moving the fountain to the north east corner of the site (the fountain would appear to be at the end of Market Street as you drive/walk north), adding benches, creating shade and installing new plant material. Since 2013, the Partnership has learned that the significant underground public infrastructure (water, sewer, electric, etc) within the park space make moving the fountain closer to Seventh Street infeasible. As a result, enhancing the park space, while keeping the fountain in its current location, has become the focus of developing a new design. A final draft of ideas to improve the Seventh Street Fountain Park will be presented for community feedback during the April 2019 workshop. PIRHL Developers, LLC and Interfaith Housing Alliance have partnered to develop 520 N Market St Apartments, a workforce housing development which will offer 59-units with a mix of one- two- and three-bedroom units. 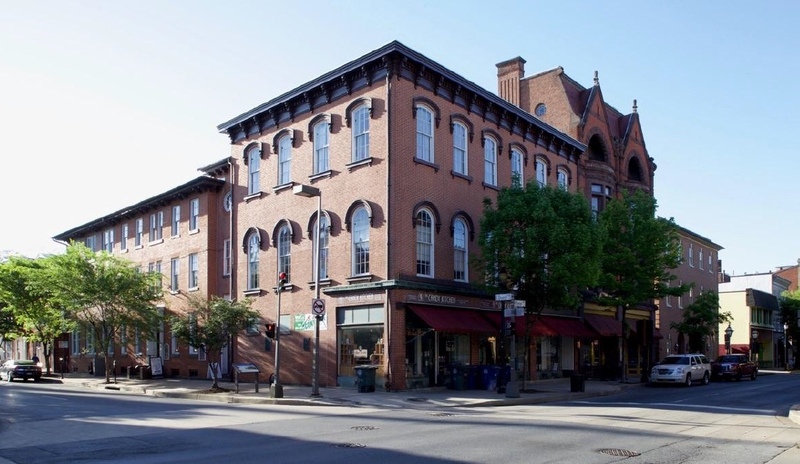 The project involves the adaptive reuse of a former 1900’s school building as well as two new construction buildings, all in the heart of Downtown Frederick’s Arts and Entertainment District. The conversion of the school building will be a gut-rehab, removing all structures and systems in the building except for structural walls. Purchased in May of 2017 by Ausherman Properties, the historic Kemp Hall at 2 E Church St is undergoing significant renovations. The building is being converted into 18 modern, studio and loft-style apartments in the heart of Downtown Frederick’s retail and restaurant scene. Find out more at www.kemp-hall.com. Drawing inspiration from emerging urban hotspots and repurposed neighborhoods across the country, Kemp Hall seeks to attract young professionals with a focus on convenience, user experience and spaces with individuality. The building’s street-facing appearance will remain largely unchanged, while outdoor amenities are planned for the benefit of the buildings tenants. The Ox Fibre Apartments is a redevelopment project which aims to revitalize the historic Ox Fibre Brush Company factory at 400 E Church St. Developed by Hook Properties, Equity Plus, and Broad Creek Capital, the project will provide Downtown Frederick with 83 new loft style apartments that will serve as workforce housing for the community. 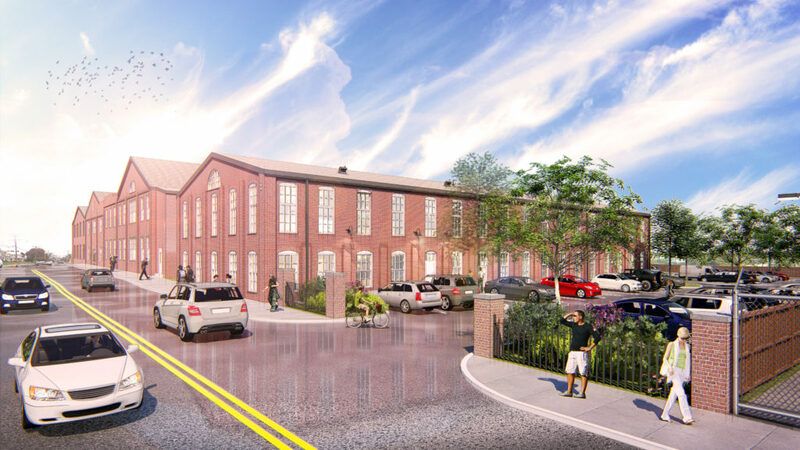 The historic, character-defining features of the factory will be restored, and the surrounding site will be improved with a playground, green space, and a community room. The project is designed by Antunovich Associates and Harris-Smariga and Associates. Morgan Keller Construction will serve at the project’s general contractor. Downtown Frederick Partnership is committed to achieving increased MARC train service to Downtown Frederick. 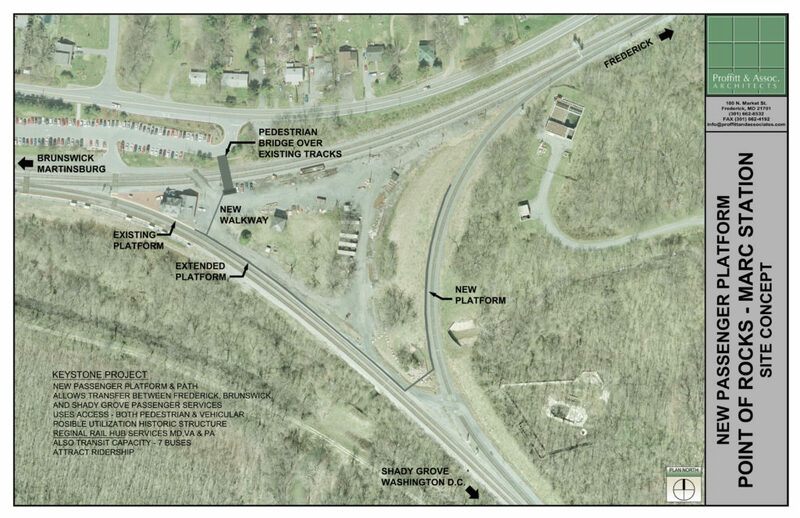 As part of this policy, the Partnership supports building a new Point of Rocks Station platform to increase weekday MARC service to Downtown Frederick. The MARC Brunswick line provides service between Washington DC and Martinsburg WV at four stations in Frederick County: Brunswick, Point of Rocks, Monocacy and Downtown Frederick. With the new platform, the Point of Rocks station will experience improved service because all trains on the MARC Brunswick line will be able to stop at this station. Increased MARC Train Service would make Downtown Frederick a more attractive place to live and locate a business by increasing regional access. A new Point of Rocks Station platform also will permit MARC to maximize the effectiveness of their operations by providing more commuting options without adding trains. 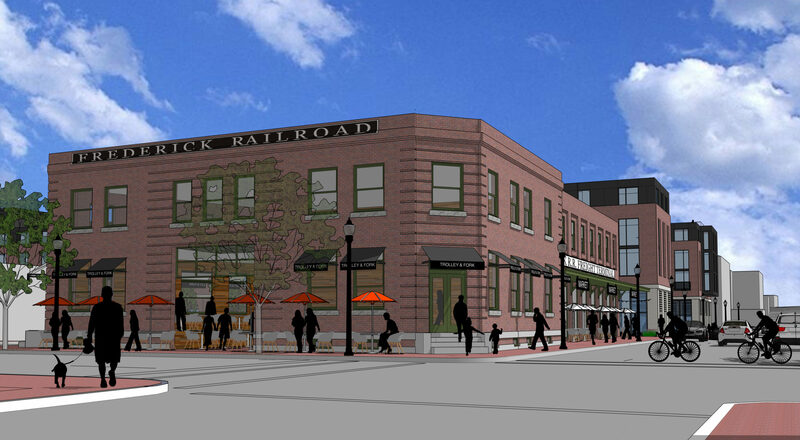 The platform could allow for trains currently in service to travel northbound to serve the Downtown Frederick station. For more information about this project, download our full policy statement here.